This Vitamin is Proven to Reduce Anxiety! The Anxiety and Depression Association of America claims that anxiety disorders are the most common mental disorder in the U.S. as it affects over 40 million adults or 18% of the population. Specific Phobias – These are intense fears of a certain situation or object, for instance, enclosed spaces, or heights. Panic Disorder – This disorder is accompanied by sudden feelings of terror that appear repeatedly. Generalized Anxiety Disorder – This disorder is manifested by excessive, unrealistic worries and constant tension, most often with no evident reason. Social Anxiety Disorder – It is also known as social phobia, and involves an overwhelming worry and self-consciousness about common social situations. Researchers still study the exact causes of anxiety, but believe that in many cases, it is caused by a set of factors, like environmental stress and brain changes. It has been found that severe or long-lasting stress alters the way nerve cells transmit information from one region of the brain to another. Also, studies have shown that people suffering anxiety have changes in certain brain structures that control memories related to strong emotions, and the disorder might also be a result of trauma. This disorder can be cured, and it is most commonly treated with prescription medication. Other people try alternative methods, like relaxation techniques, counseling, and dietary and lifestyle changes. 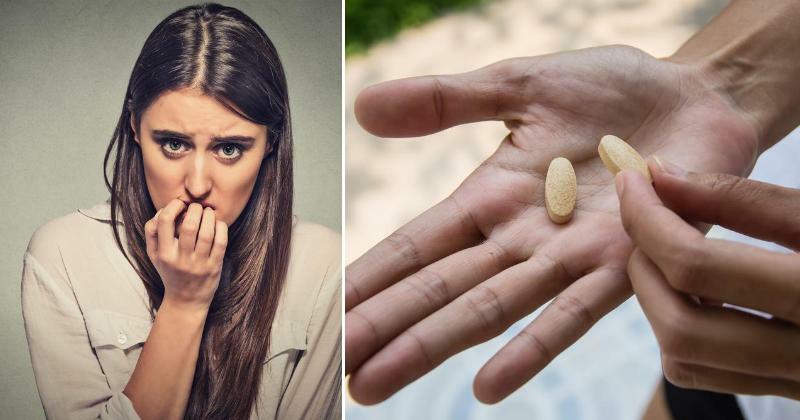 Yet, recent research also suggests that anxiety patients also lack an important vitamin in their diet- niacin, or vitamin B3. It is a water-soluble B-complex vitamin, vital for the metabolism of energy, DNA repair, and synthesis of steroidal hormones. It relaxes the muscle tissue composing arteries, by vasodilation, a process of increasing their diameter. In this way, the blood flow is boosted, the blood pressure gets regulated, the HDL levels are increased, while the LDL levels are reduced, and the heart heath is thus improved. In the case of anxiety, this vitamin acts as an antidote to adrenaline, which is often over-produced. Researchers maintain that it treats anxiety and depression and improves the sleep patterns. Biochemical, Physiological and Molecular Aspects of Human Nutrition confirms that niacin boosts blood flow, eliminates excess adrenaline, lowers blood pressure, and regulates hormones, and thus relaxes the body, manages stress, and treats anxiety. The recommended daily intake of this vitamin depends on the gender and age, so make sure you consult your doctor before you start taking supplements.